Since its founding in 1994, Saveur magazine has covered the world’s cuisines, telling the stories of authentic meals and the cooks behind them. Saveur‘s editors are passionate about the stories behind the meals, be they classic dishes known to all or obscure traditions worth sharing with the world, and understand each ingredient, each person, each meal, has undergone a special journey. They seek out stories around the globe that weave together culture, tradition, and people through the language of food. 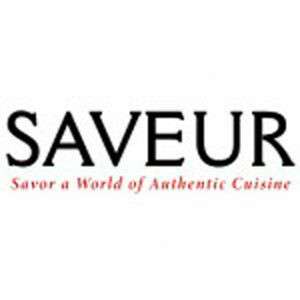 Saveur has received more than 25 awards, including five James Beard Awards and an award for best single-topic issue from the American Society of Magazine Editors. “The onion dip to end all onion dips.” “Sublime.” “Light years beyond those soup packets.” That’s what folks are saying about this creamy dip that puts to shame all other onion dips you’ve ever dipped, dunked, or otherwise devoured. These baking powder biscuits morph boring pantry staples into stunningly tender, buttery, pull-apart biscuits that scream to be eaten hot from the oven. Few things are as Portuguese as fried salt cod served with a garlic and red pepper sauce. It’s a specialty of the Azores. Tasting is believing. An easy Italian soup that makes for a satisfying supper tossed together from pantry staples. Simple. Stunning. And conversation stopping as well as starting. That’s what this salad is. This breathtaking bowl of authentic Mexican-inspired magnificence is simple to make yet complex in taste with incredible depth of flavor and a noticeable but not overwhelming ancho heat. “Intensely maple-y.” “Amazing.“ “Much easier than making pie.” “A recipe I’ll make again and again.” That’s what folks are saying about these spectacularly sweet and gooey maple walnut bars. These coconut candy bars taste like a mash-up of Mounds candy bars, peanut butter, and a graham cracker crumb crust. “Everyone loved it, including the kiddos.” “Quick and easy.” “Perfect.” “As good as any restaurant piccata I’ve ever had.” That’s what folks are saying about this recipe. A simple, old-style French dessert that’s as easy to toss together as it is to tie a scarf.